I quick shot of a few of my cutie's that are on the shelf over my desk in the studio. I looked up at them and thought what a cute shot that would make. They each look as if they are daydreaming. 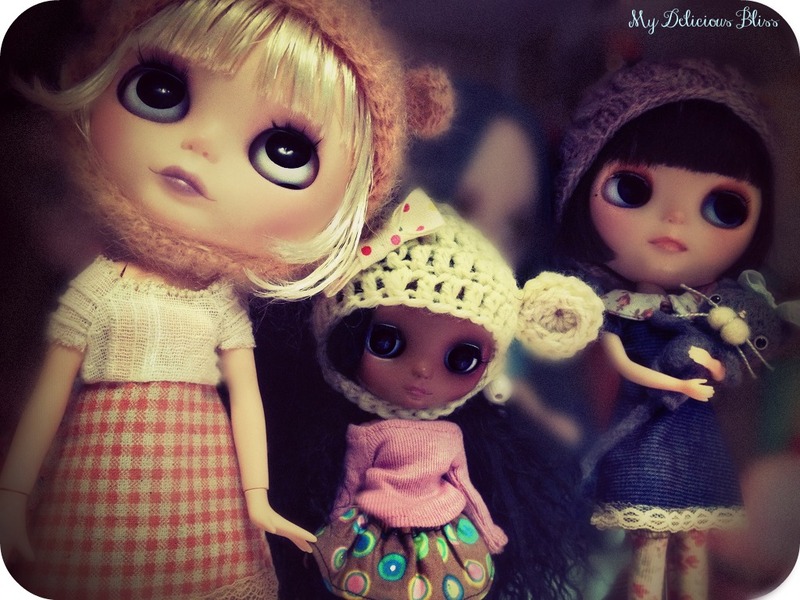 From left to right: On Lauryn; Little Gamusina Bear Helmet, Sewing Love By Tania Dress. On Miellat; Bambina Carabina Mouse Helmet, PsychooPanda Outfit. On Charlette; Sewing Love by Tania Beret & Dress Violet Pie Felted Kitty.